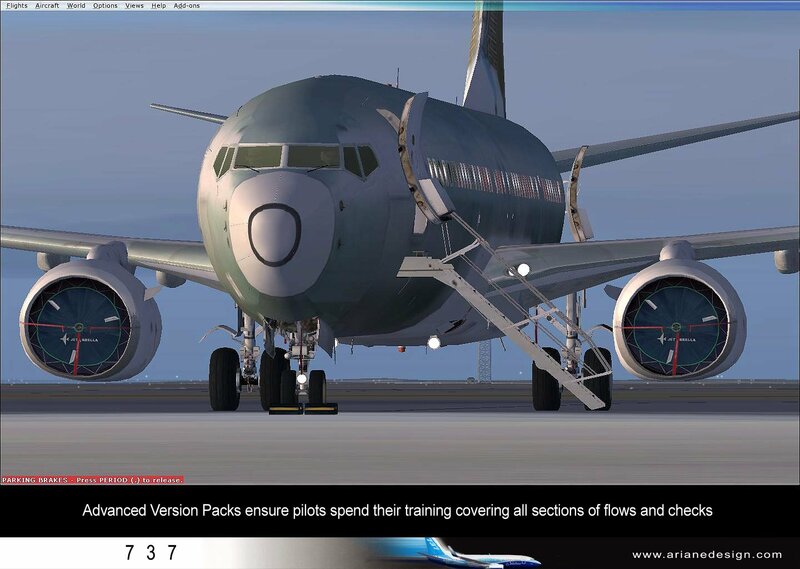 FSX Native Version - 4 Upgrade Packages. One Release. 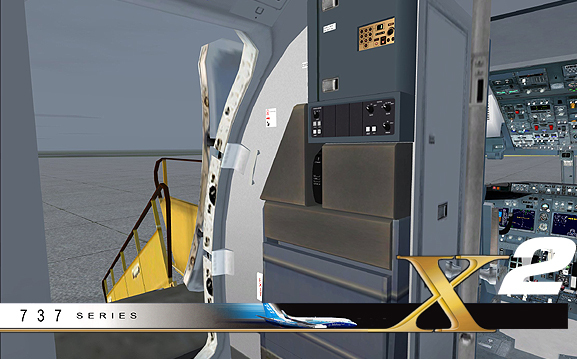 Advanced Boeing 737-900 ER X2 includes all four packs as part of a very unique, special edition package. * More advanced systems and operations software. * More efficient logic base for modeling and interfacing updated X2 systems. * 12-15 to 20-25 FPS increase - fully loaded. 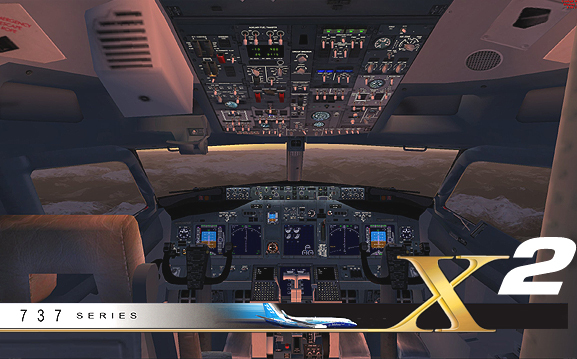 * Technology Upgrade to all start and in-flight systems. * Hosts of system enhancements and upgrades. 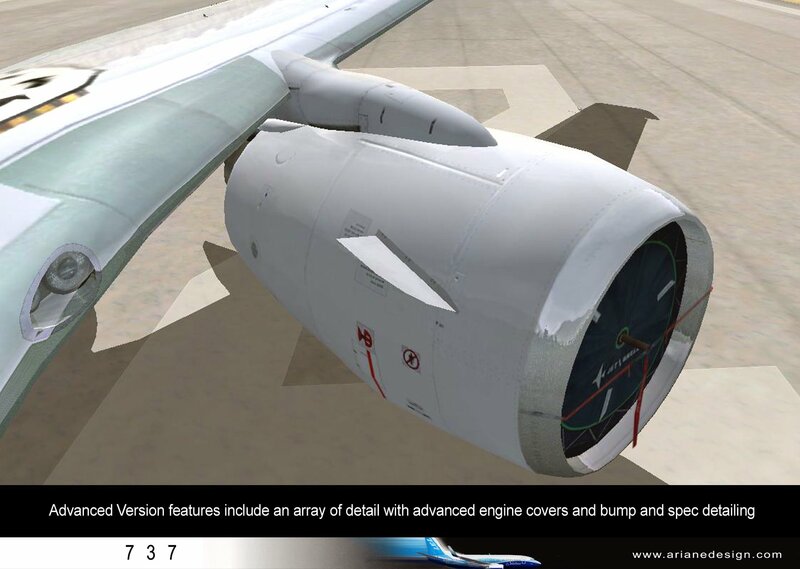 * Engine Upgrade features new, re-mixed engine sounds, more passive and realistic. * New advanced animations stepped to accurate, actual timings. * Synchresis II Audio feature governing over 1500 sound events (from only 750 in Synchresis I). * Full Galley Management including accurate, PAX and Catering door locking and securing/management features. 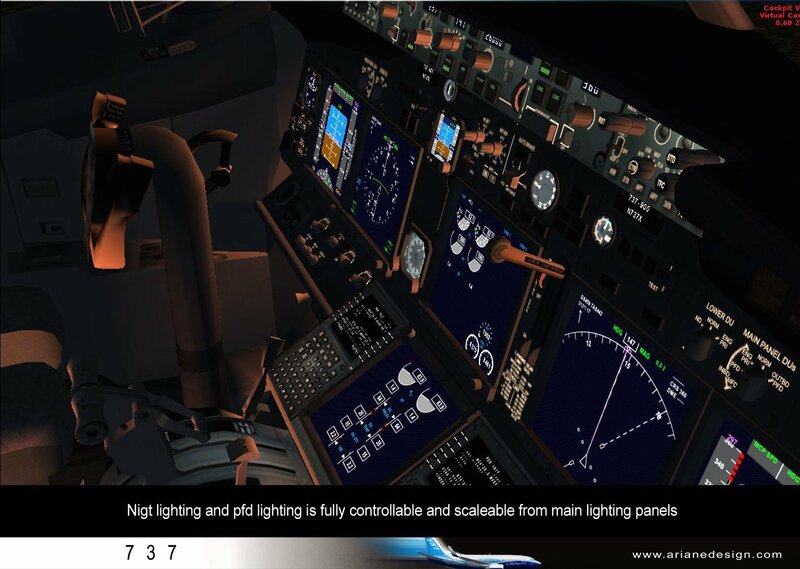 * Flight Attendant Panel with full lighting management; work light, overhead light, EXIT, pax lights; 'dim lighting' automatically occurring at correct dusk/night times and as switch is operated, with audio accompaniment. 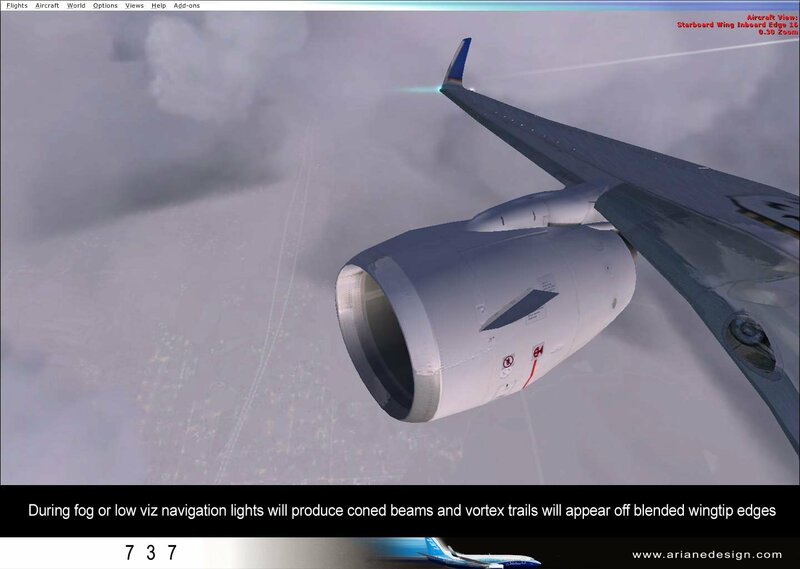 * FlyTUNES - A FIRST FOR FSX. Interactive input, audio management panel - plays different suites of music and announcements. * Suite of sounds/announcements/languages and music. 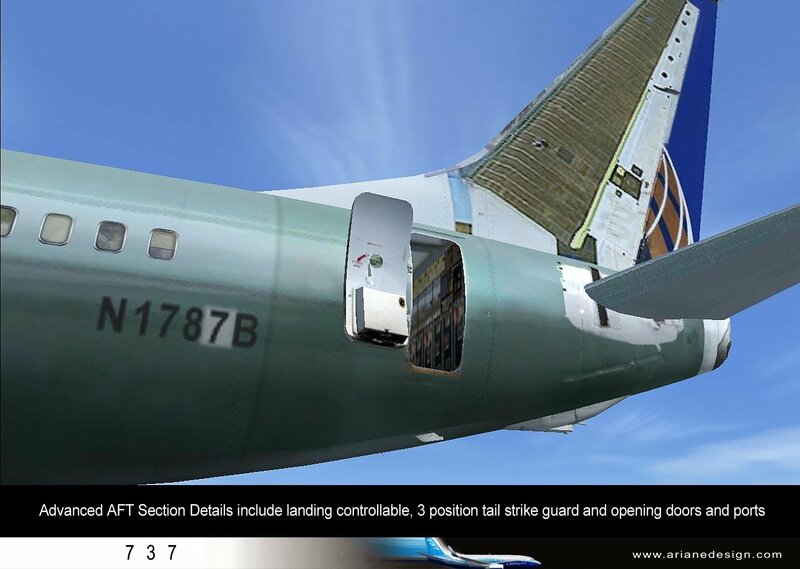 * New 'call' feature - airstairs FORE and AFT wheel up and arrive and dock as 'on call' equipment is menu accessed. 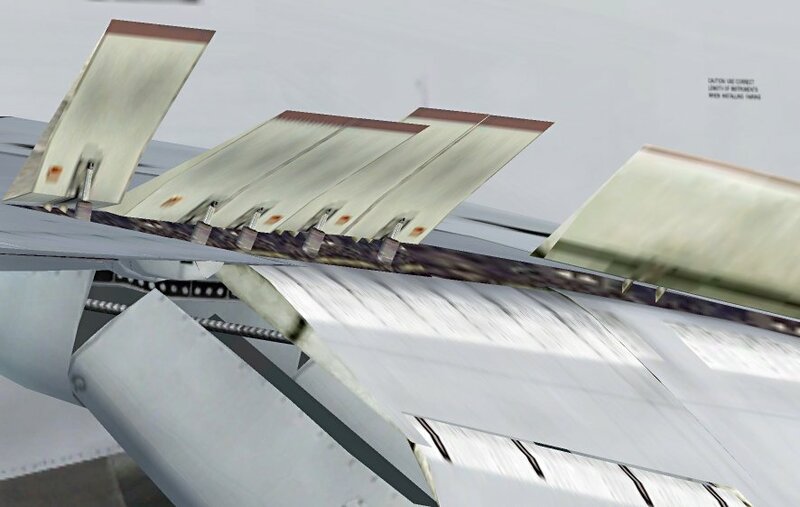 Further to changes made to the architecture of the model build working with a new SDK in FSX, a way of revising how files are dynamically managed and arranged with the model promopted a complete redesign of the modeling. 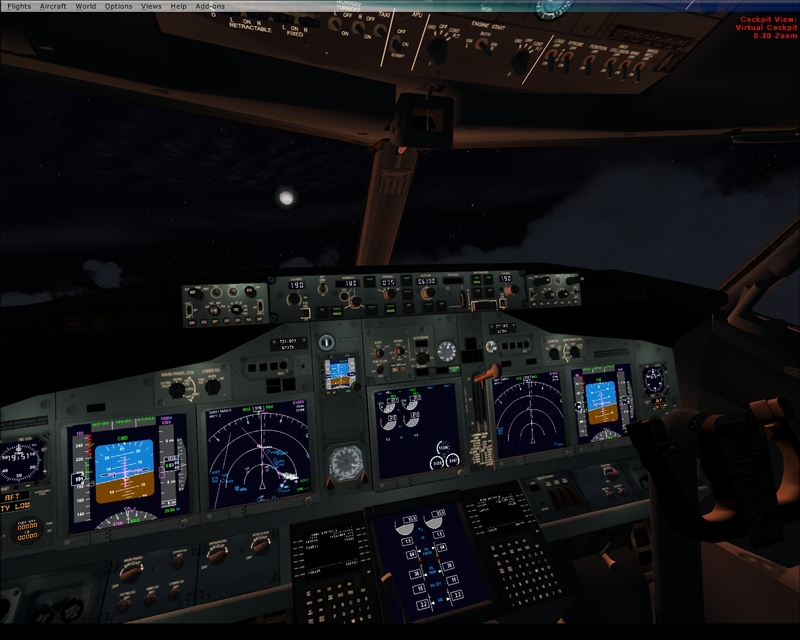 This has produced a more efficient, flying 3d model in FSX. As such, the new and more advanced technology will literally INCREASE FPS in all modes, on all PC ranges when installed and running. Examples: Average increase on low-end systems: FRM 12-15 FPS. (FPS increases can be expected to be even higher on high-end systems). Such new and more advanced modeling means an altogether more efficient and dynamic model and performance set ensuring greater and more complex flight responses as well as the ability to build on more dynamic and detailed foundations for future systems and sets. New sounds and new mixing now offers a blend of sounds and multiple sound layers from newly developed files. The engine soundsets offer a more sophisticated range and offer more spatial separation than previously released. Working in higher, upper memory areas, the sounds offer an increased level of ambience and effects such as bass movement of engine blade rotation, high bypass vibrations and greater definition means that the sounds experienced can be heard on high end speaker systems connected to more professional PCs. 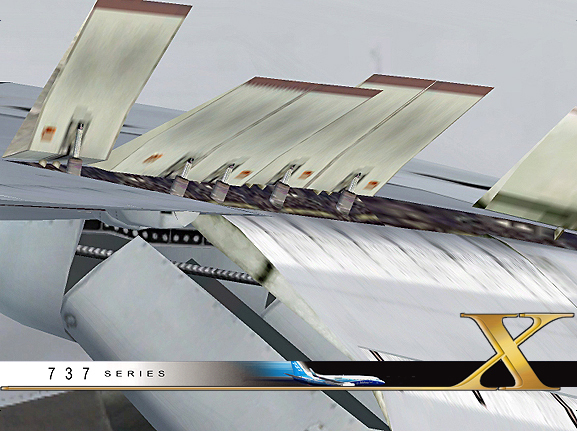 THe sounds also represent the sin qua non of sound for home cockpit builders. The sounds will especially relate to real pilots who know these ranges. The advent of Synchresis II. A new range of new sound sets with a more defined and powerful range, more effects and even more dynamic characteristics. Sounds are now created across over 1000 event sets. Each and every switch that features a sound will play the sound from the cockpit it was originally recorded from. In addition, a host of new sounds such as warnings, cautions, doors, locks, wind, audio and music. These have all been added to increase the range to an exponential level. A completely remodeled Galley Management Area offers a more complex and challenging area than previously released. 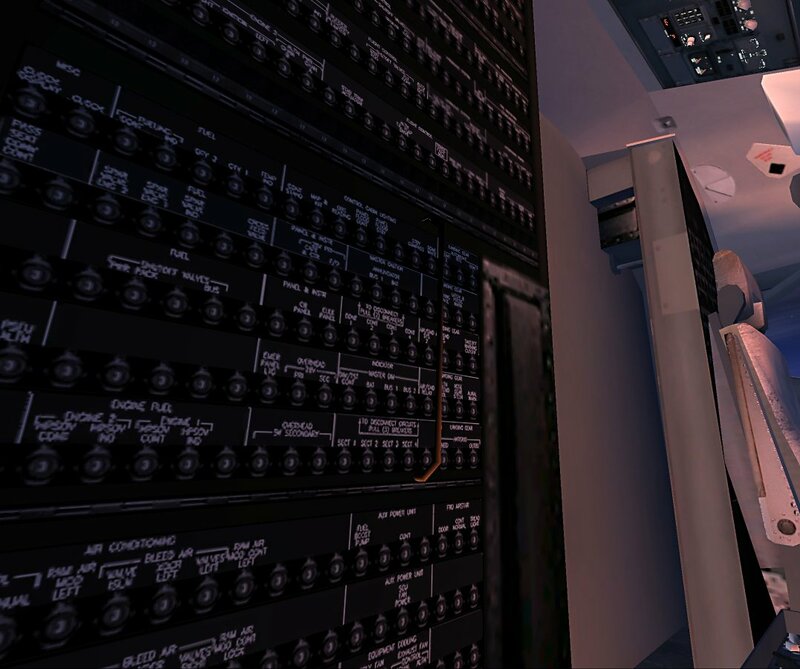 The galley requires full pre-flight and after-flight management as per the manual. Door opening is a three part operation. Interactive use of the phrase 'doors (cross check) to manual' is called via the audio panel and is used prior to unlocking, door opening and securing. 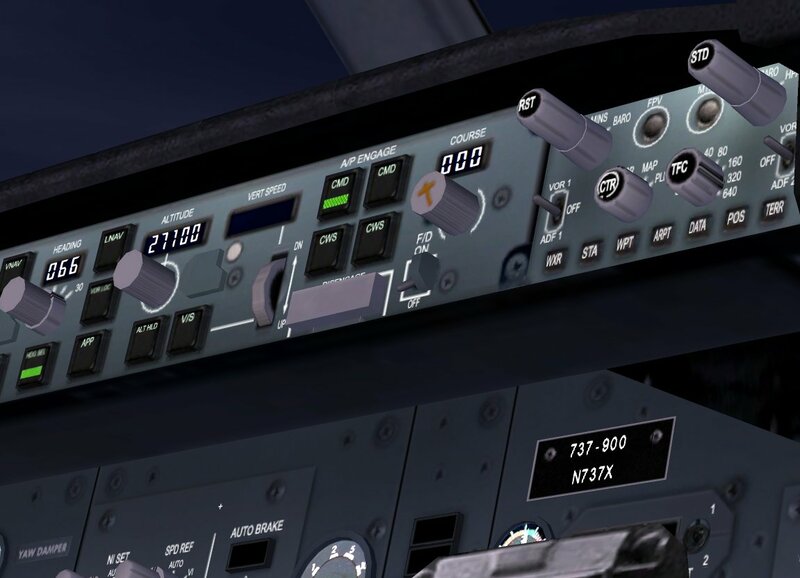 Following door opening, the pilot or crew member entering the entrance will need to apply STANDBY power if not GU connected or at a gate. This will supply the power required to operate the airstairs (all sounds included) and to oeprate the lighting prior to flight deck door operation and Captain engaging APU or GU. Door closure requires a caution warning, door closing, latching and handle closure and then the manual covering of the window with the red bar to show the door has been locked. Audio Management Panel is a new area. 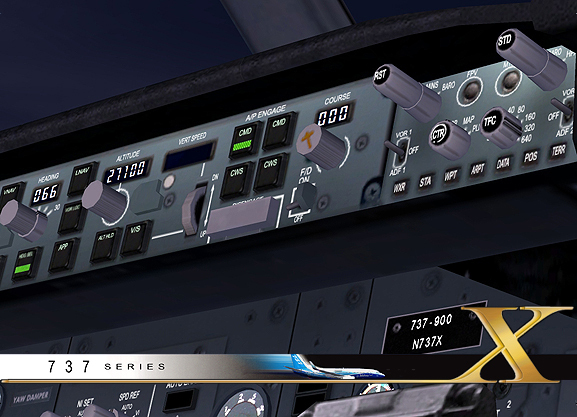 The Audio Management Panel also includes optional announcements and warnings feature as well as the unique ability to designate MUZAK to a number of the tracks (using a future tuition and SDK pack). Future packs planned will also include several music packages as well as music and voice selections, foreign language packs etc. all switchable from the Audio Managment Panel interface. 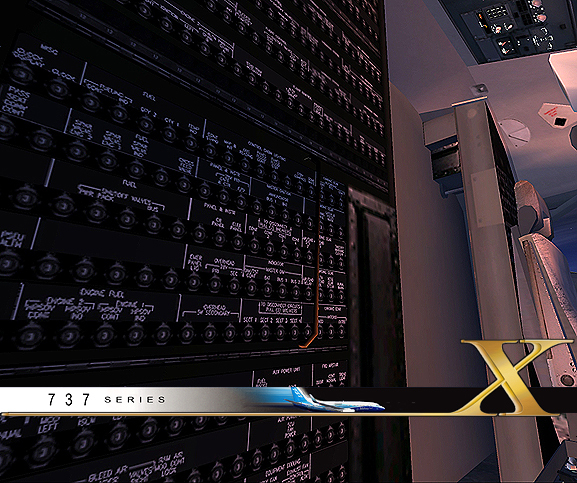 X2 represent a really formidable new package for FSX using much more advanced compression technology and logic to present an exceptional display model with additional modules and many more new features (not to be found in SP1). X2 is a complete, new build with features built-in. 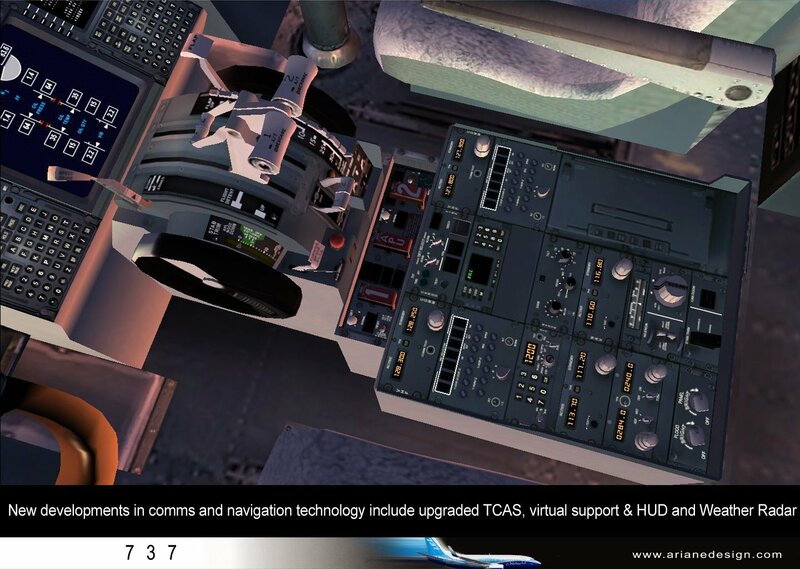 From the advanced and comprehensive flight deck made entirely out of HD bitsets and filtered and relayed from over 400 layers, new modeled and optimised aircraft files and a suite of advanced sound choices, multiple animations and more - the environment for FSX professional and training pilots has reached a new level. Advanced X2 Special Edition - MINI-SPEC. * Speedy, frame-rate performance in FSX (sample rate: 20 to 48 to 54 and higher fps multi-core models) - Source: DC Systems up to 4 core and more). 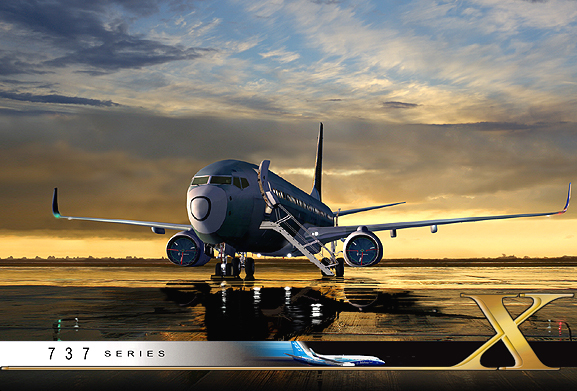 Leading Software Aircraft Design with shape approved to Boeing spec. and plans. 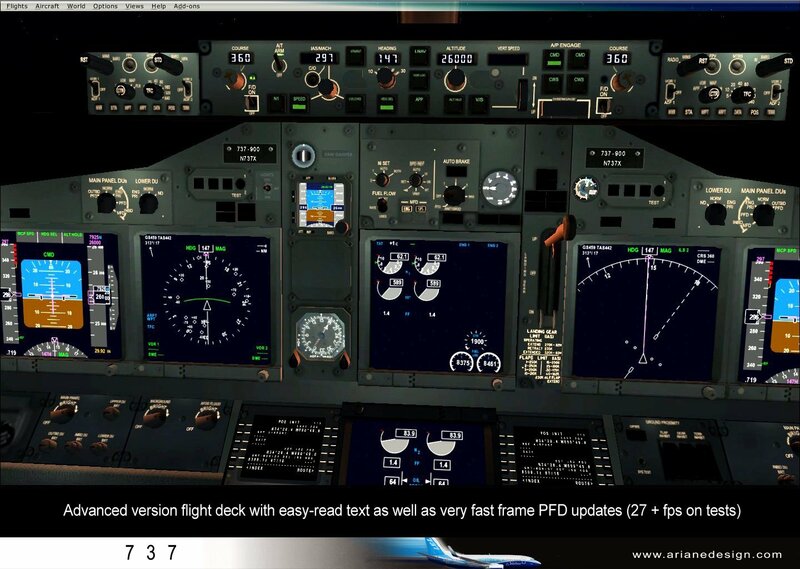 with greater optimised poly points and new more advanced logic engine for exceptionally fast, frame rate performance. 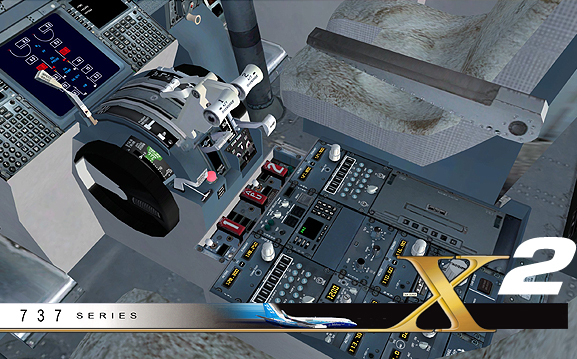 FLIGHT DECK & GALLEY: Software Version X2 Advanced Logic. 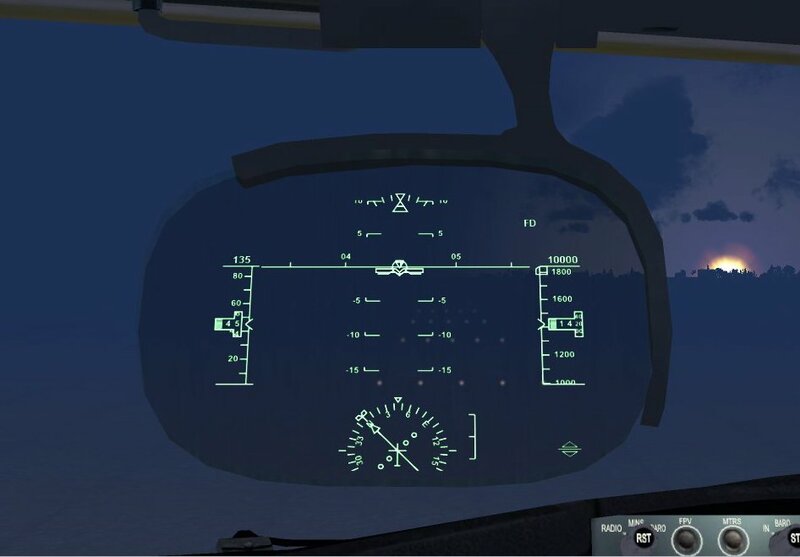 3d-modeled Scale-Accurate familiarisation-level & procedural-level Virtual & Interactive Flight Deck with over 1000 working events and calls and sounds with working control systems linked to logical cross referencing, system modules and suites. 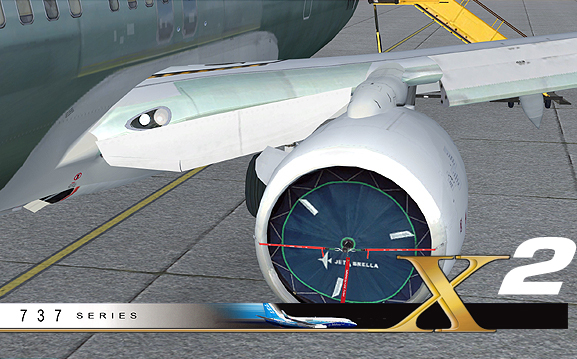 Manage the entire aircraft according to normal procedures (with option to use printed versions). 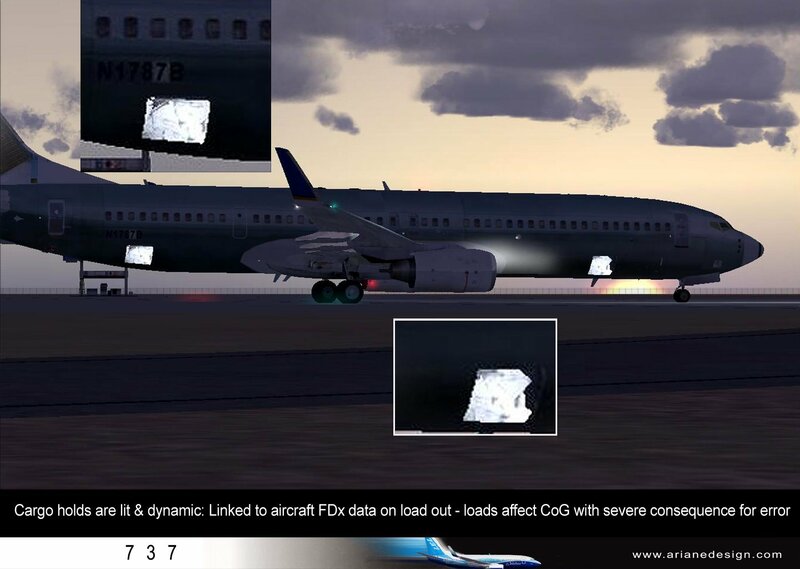 FMC - over 40 pages of FMC comprehensive data with LOAD/SAVE/CO ROUTE with the added ability to make and save SID and STAR data enroute and inflight. 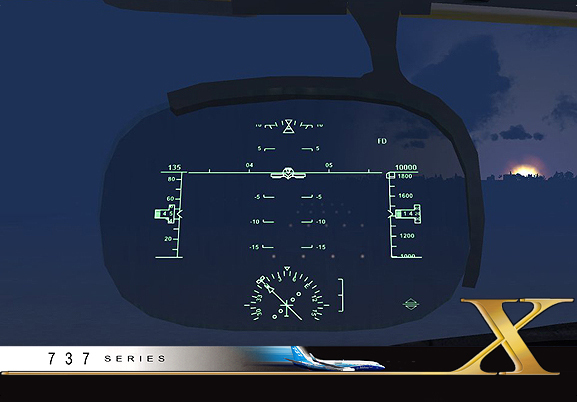 FMCS - advanced logical control of the flight deck environment for professional level use. 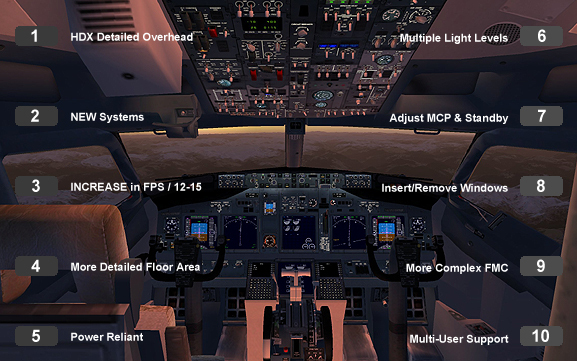 MCP - An MCP designed and Built to Boeing CBT Spec at an all-working competent level with a 'hot-swap' feature so users can move from early roll out version to the new Rockwell versions in-flight. IRS - Fully working IRS System with manual setting and auto logic/pre-sets. 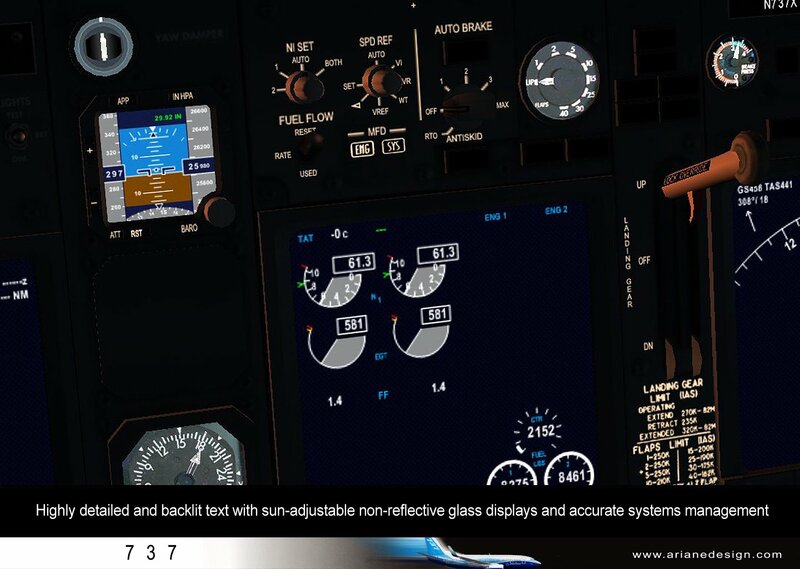 PFD - Light-Adjustable Displays with management and user-adjust logic control. BACKUP - Featuring 'hot-swap' feature to go from digital to analogue versions inflight and enroute. SYNCHRESIS II - Editable sound sets. With module input, own set choices and in different lanaguage formats. SYNCHRESIS II FLIGHT DECK TECHNOLOGY - over 1000 multiple and working, sound-equipped, 3d-modeled VC systems and layouts, switches, events, knobs, buttons and push systems with flip covers, sliding animations, HIDE for yokes and seats (for large montior users) and more features than ever before - now the most advanced 737 aircraft ever built for a simulation ... (see our spec pages). 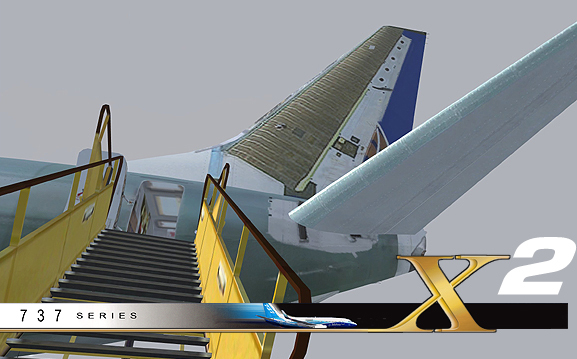 FLIGHT MODEL: Aircraft FDx: 3 part, FDx Flight Model Technology developed from approved statistical and tabular Boeing Data and designed to emulate the accurate Boeing 737 handling envelope. 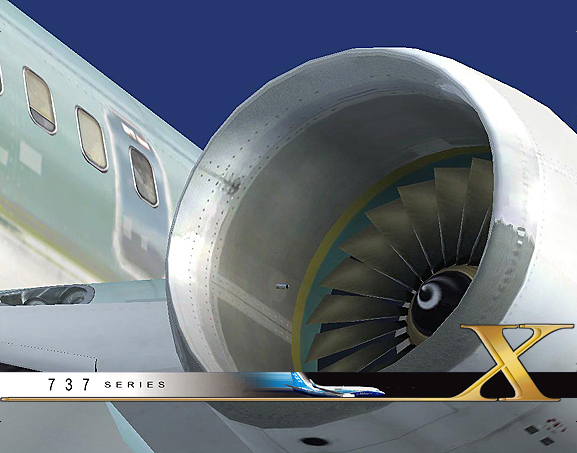 World Famous Aircraft FDx Flight Model Technology ensures optimum flight envelope of flight within required Boeing performance minima as endorsed by leading Boeing 737 and training pilots as well as Boeing 737 home cockpit fans around the world. 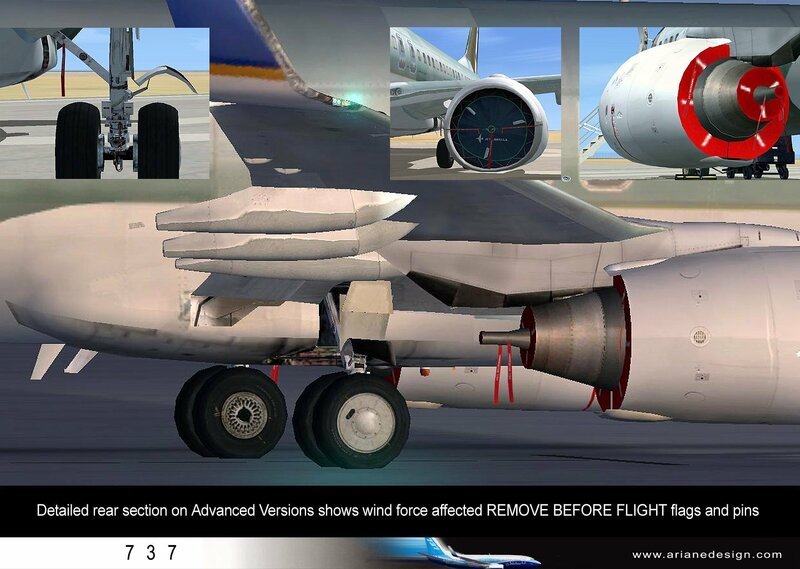 ADVANCED CFM567b SOUND & FDx PACKAGE. 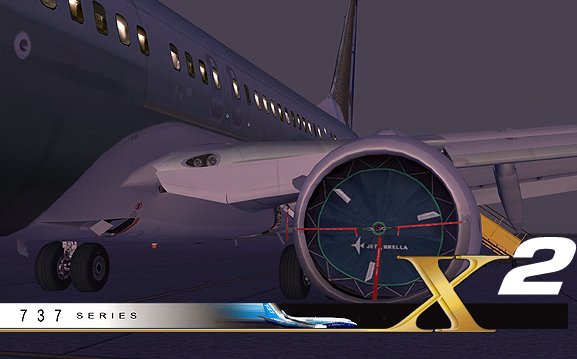 Sound recorded both on board in the flight deck area and outside of the exterior of a Boeing 737 aircraft from different spatial points from engine nexus to blast-safe areas, across CMI CFM engine variant range using sophisticated, advanced recording equipment and mixing and editing (high-level, professional, 44hz min. spec. 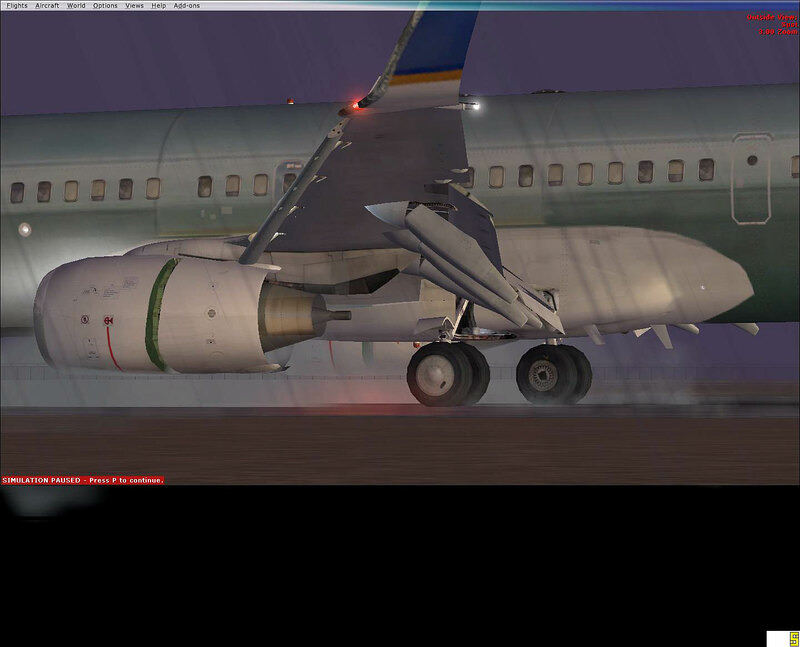 mixed output compressed for smaller footprint and to optimise FSX sound engine and commands and locations/cones). The engine sounds on this model produce an exceptionally realistic and high quality, stereo-processed, full sound - the quality sound of choice for home cockpit builders worldwide. 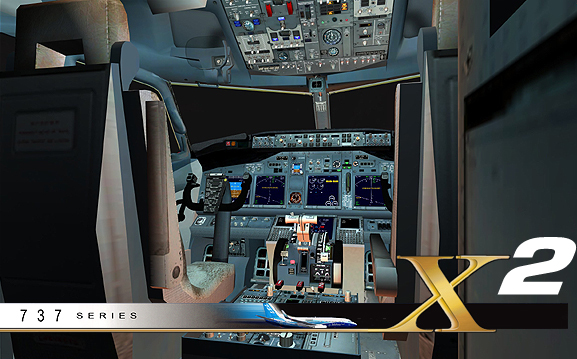 LIVERY OPTIONS AVAILABLE AS ONE AIRLINE EXPANSION / UPGRADE PACK: Alaska, Arkefly, BCA, Continental, Excel, Futura, Lion, Lion Air, Sky, SPice Jet and XL Airways - see Boeing 737-900ER X2 AIRLINE UPGRADE. MANUALS: Installation, Flight Reference Guide & Flight Training Manual to take pilots from ramp starts to complete flight routing with input and management for complete route and data with charts and further performance data. 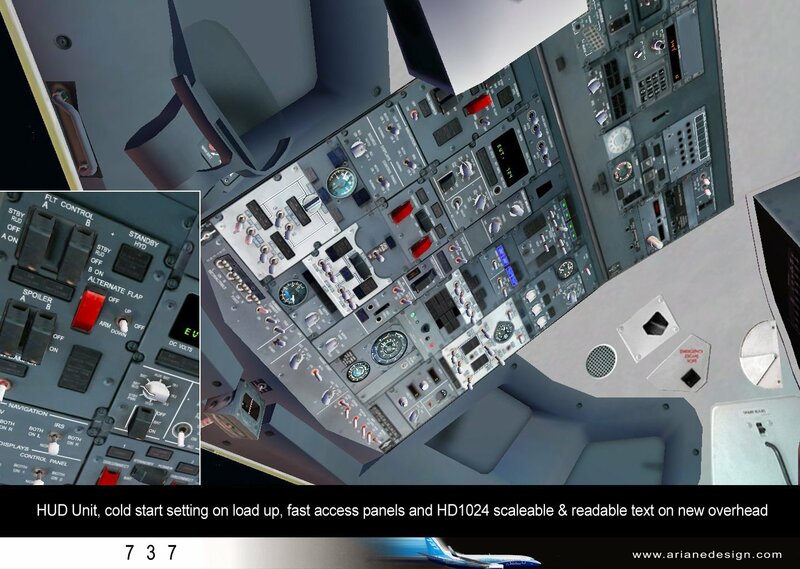 PRINTED MANUALS: Also available at special rates from the Boeing 737-OPS section as bound or cellophane-wrapped in drilled blocks with additional charts and checklists included.